Soil sampling is the most adopted precision ag technology in Brazil and also the main income for service providers. Due to large areas, soil samplers mounted on ATVs are used to give operational efficiency. Brazil is a huge player in international agriculture and precision farming is helping to increase productivity. With diverse crop production, Brazil plays a key role in supplying food to a growing global population. To produce more, while preserving important natural ecosystems, technology helps better decision making. Precision ag work first began in Brazil in the 1990s, but there was very slow adoption until the mid 2000s. Initially there was a technology push by international machine builders. From 2005 to 2010, there was a surge of new precision ag service providers, focused on soil sampling and variable-rate technology (VRT) application of lime and fertilizers. Service providers were very important to spreading precision ag technology throughout the country. In Brazil, production costs are defined by international prices and Brazilian currency exchange rate. As those new service providers started precision ag activities during a period of high production costs, many of them focused their marketing and work on cost savings. Some of those providers evolved to seek higher productivity, while many others are no longer in the market. Soils in the biggest parts of Brazilian agricultural regions have low fertility. So soil correction and fertilization is a central factor to higher yields. Soil sampling is now, by a large margin, the most adopted technology and also the main income for service providers. Due to large areas, soil samplers mounted on ATVs are used to give operational efficiency. Grid sizes have decreased during the years to better represent soil variability. In the Cerrado region (Central-West), where soil formation is regular and farm sizes are bigger, typical grid size today is between 3 to 5 hectares (~7.5 to 12.5 acres). In the south, where soil variability is bigger and farms smaller, commercial grid sizes are between 1 and 3 hectares (~2.5 to 7.5 acres). There are still many differences in sampling procedures, including number of sub-samples, sampling depth and sub-samples distribution. Correction and recommendation made to VRT is mainly based on fertility manuals, but there is a growing discussion about the use of those prescriptions, as some of the manuals are getting outdated due to new production goals and conditions. Many consulting agronomists and service providers have developed their own evolution of traditional fertilization prescriptions based on real experience. In the last decade, a no-till system has become the standard in the south and has grown fast in the Cerrado. No-till brings some particularities to precision farming, including the big adoption of fertilization using spreaders and the need to take care of soil physics and soil compaction. There are no official numbers about the use of precision agriculture in Brazil. But knowing the different players and regions, it´s possible to estimate the adoption rate at about 20% in agricultural areas, with a very diverse distribution. Some technologies like GPS guidance have larger adoption than other precision ag technologies. In the last few years, new technologies are starting to grow like NDVI using satellite or aerial images, NDVI using active sensors, soil conductivity and soil compaction measurements. They are being used as a complement of soil sampling or to make a directed sampling. Yield maps, despite having been one of the first introduced technologies, are not widely used. Yet yield monitors are present in almost all new harvest combines. Operational hurdles are normally pointed as the main reason for this, but the low educational level of hired labor is also a limiting factor. Yields are growing and precision agriculture is helping farmers to make better decisions. There is still a long way to go, but step by step precision ag will became the new standard in Brazilian agriculture. 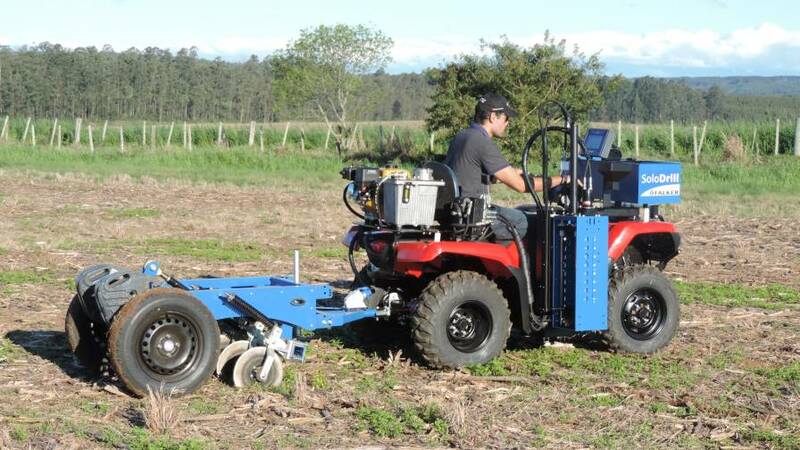 In future articles on Precisionag.com, I will write more about some specific situations we have for precision agriculture in Brazil, including very large areas, no-till, soil compaction, cover crops and more. Marcio Albuquerque is founder and CEO of Falker. In the last 12 years, Falker has introduced many different precision ag technologies and helped many Brazilian growers and service providers to start working with precision agriculture. The company has solutions that include mapping software, soil samplers, compaction meter, conductivity meters, handheld meters and much more to come. Find out more at www.falker.com.br/en or email [email protected]. 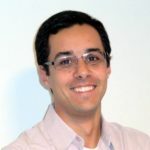 Marcio Albuquerque is Founder and CEO of Falker (www.falker.com.br), working with technology for agriculture and precision agriculture in Brazil since 2005. As an Engineer with a MSc in electronics engineering, he has led projects of sensors, soil samplers, wireless mesh networks, handheld meters and mapping software. Albuquerque is also a member of Brazilian Commission on Precision Agriculture in the Brazilian Agriculture Ministry, and founding member of the Brazilian Precision Agriculture Association. See all author stories here. Excellent article, the same happens in Paraguay. Reagards.